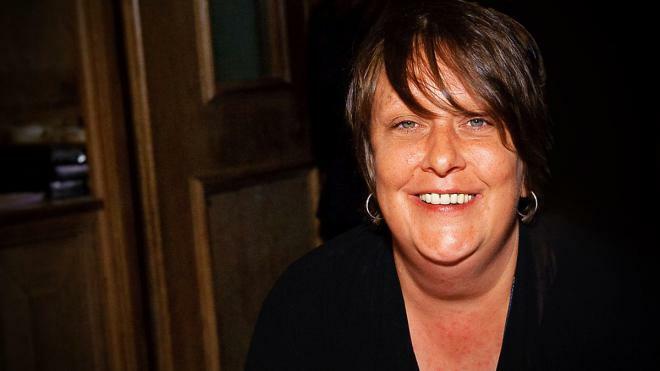 Katherine Lucy Bridget "Kathy" Burke (born 13 June 1964) is an English actress, comedian, playwright and theatre director. She won Best Actress at the 1997 Cannes Film Festival for her performance in the Gary Oldman film Nil by Mouth.Burke's first film was Mai Zetterling's Scrubbers in 1983. Her other films roles include, Mary I in Elizabeth (1998), Maggie in Dancing at Lughnasa (1998), Perry in Kevin and Perry Go Large (2000) and Connie Sachs in Tinker Tailor Soldier Spy (2011).From 1999–2001, she starred as Linda La Hughes in the British sitcom Gimme Gimme Gimme (which she developed with writer Jonathan Harvey). She is also known for her regular appearances in French and Saunders, Absolutely Fabulous and Harry Enfield and Chums. She has been nominated for six BAFTA Awards. Since 2001, she has concentrated more on her work as a director. Hi-8 (Horror Independent 8) 2013 special thanks - segment "Gang Them Style"
What did Kathy Burke tweet about Prince Philip?